Even though Valentine's is over I still love pink. I've found some great pink pieces and they are all under $50! 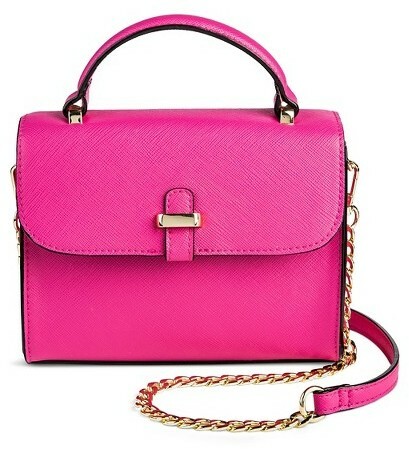 I love a bright pink bag. I use mine a ton. This one has a great color and it's a steal for $19.99. Cute picks! 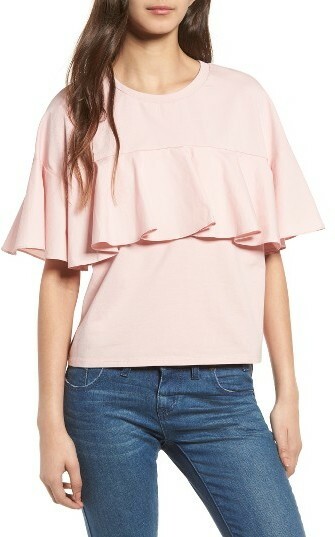 I love the ruffle tee! Yes for pink all year round. I'm wearing pink today!